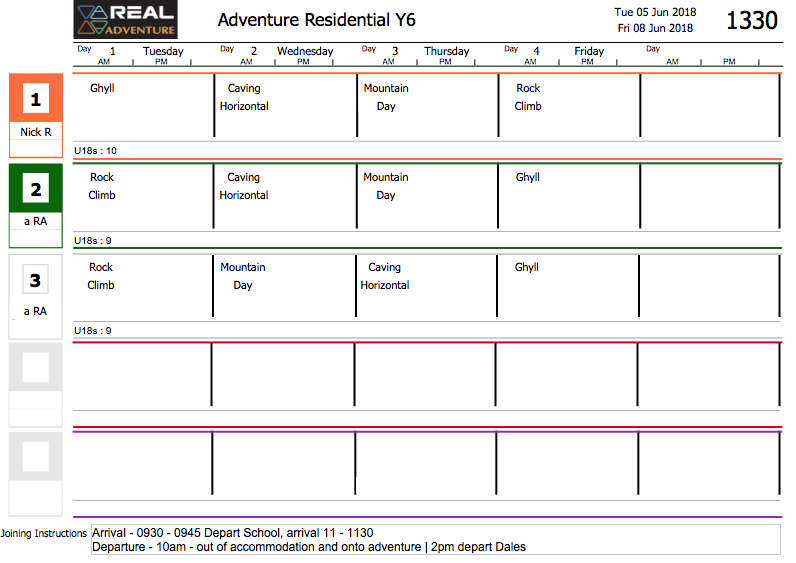 In June Year 6 planned a different residential experience from Tuesday 5th June until Friday 8th June (3 nights and 4 four days). This break aimed to build on the adventures the children experienced in Year 5 at PGL Winmarleigh and experience some great activities in further depth. The company is called Real Adventures staying in Timberlodge Log Cabin at Pinecroft in Ingleton. This base allows us to explore the Yorkshire Dales when ghyll scrambling, caving, rock climbing, a mountain day and other great activities. The groups will be led by highly qualified, experienced and inspirational staff. All the necessary activity equipment and individual kit – waterproofs, fleeces, boots and wellies will be provided. Please check the video resource centre to see the great video we made of our adventures. Click the logo for more information about the company.